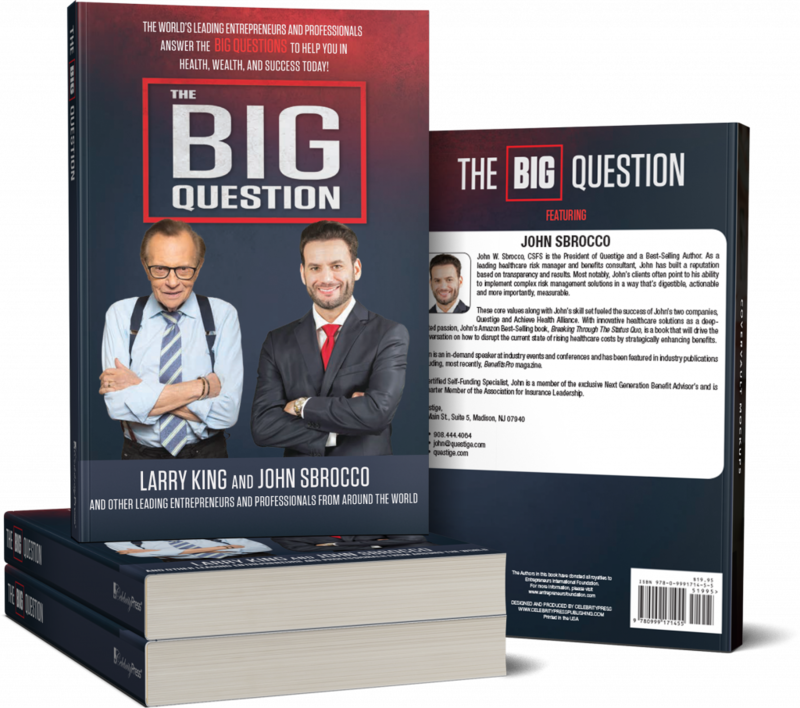 Our very own John Sbrocco has teamed with Larry King to release The Big Question – a comprehensive playbook from the country’s top leaders & entrepreneurs. Learn from their personal stories of triumph to help you in health, wealth and success. Pre-order the book today and we’ll send a complimentary copy directly to your doorstep (or desk).